If you are a mother of boys, or a mother period, then you know the significance of sticks and stones in their lives growing up. 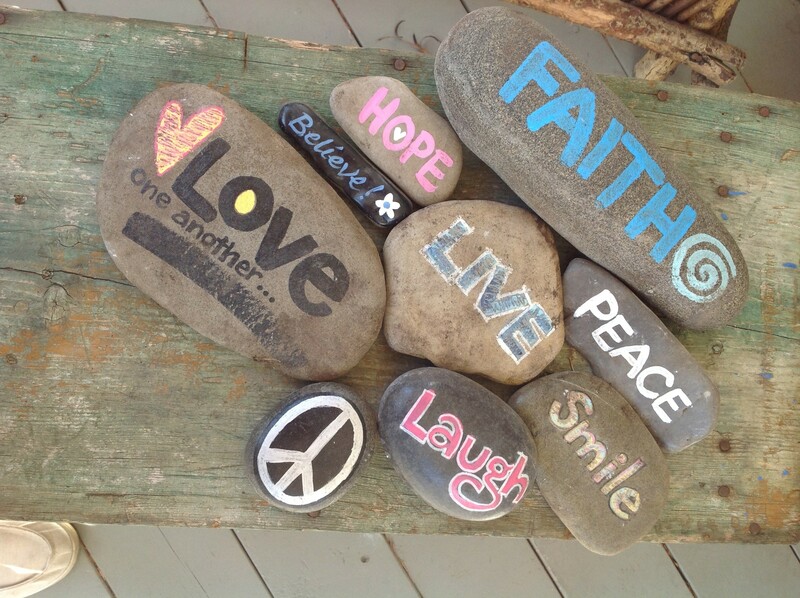 The wonder of sticks and stones never ended in my home; in my world. When the boys were young I’d find sticks and stones in all kinds of places: rocks from the park, from the river, in their pockets, in their buckets of cars, and on their bedroom window sills. Rocks with fossils, sparkly bits, smooth stones perfect for skipping, sharp rocks, pointy rocks, big rocks that held their doors open, rocks they painted as gifts for Father’s Day and other special occasions; rocks that found their way to hidden places all over the house and rocks that came home in their luggage from trips we took. All were treasures, so they told me. And they were right. Sticks too, were part of their play repertoire. They were perfect for digging, for building forts and lean-tos. They used them as spears and arrows and from time to time they’d pretend they were small guns. They made sling shots, and picture frames, used them as walking sticks and fire pokers. And I could never forget the countless marshmallow roasting sticks they’d whittle to a perfect point around the campfires we’d have. They poked with them and threw them and had to be reminded time and time again to be careful with them. Sticks. The possibilities were endless. Magical at times and as they grew, well, useful, too. One of my most treasured times with all of my boys was painting rocks. I still enjoy this simple pleasure. Now it is so much more than what it used to be. 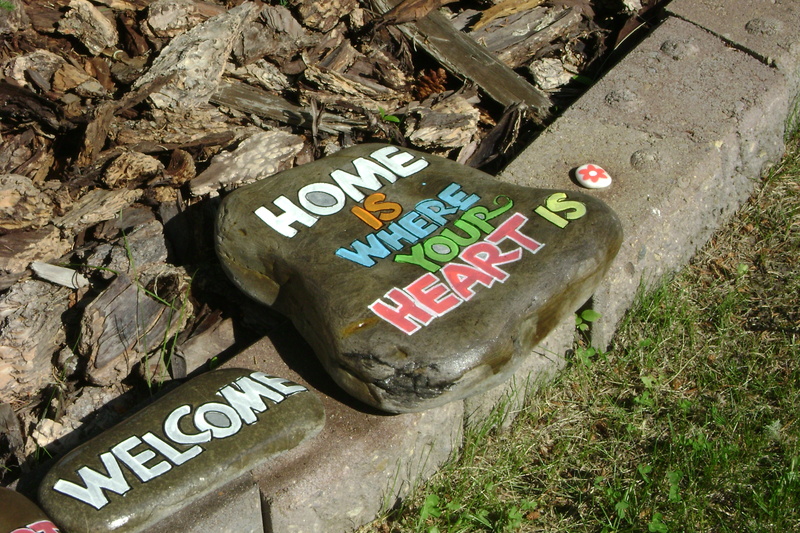 It seems everyone who knows us, knew how much painting rocks meant to us. 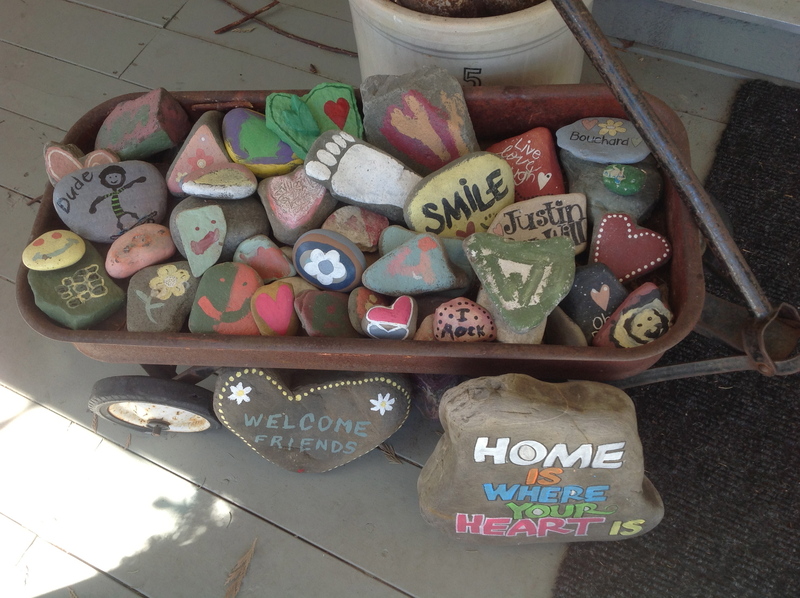 I have an old red wagon on my front porch that is full of rocks that the boys and I painted. Treasures beyond words now. Each and every one of them. There are some from when they were really young, with painted letters and images that I cannot even pretend to know and others that have bits of colored pipe cleaners attached to them, some with stickers and glitter, too. I can see how they grew and developed their fine motor skills by how their rock painting evolved. A story all in itself, really. In the days and weeks and months (and even still), after Will’s passing, painted rocks continue to appear under Will’s tree. 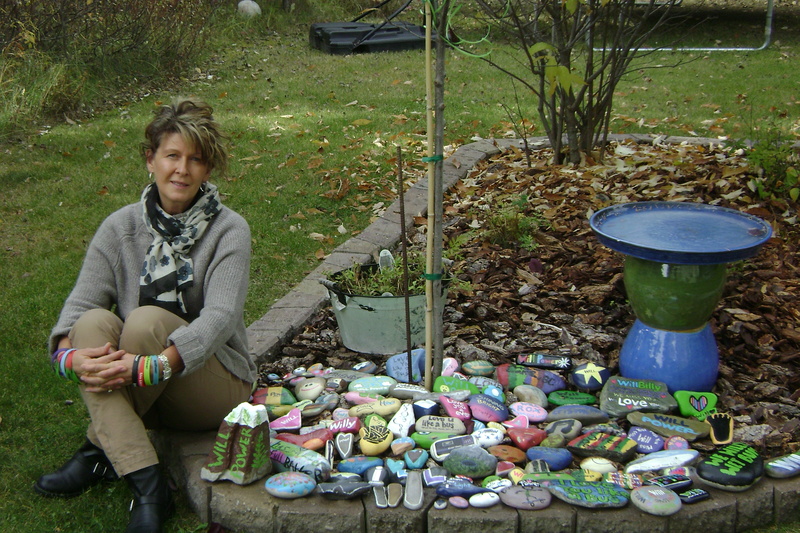 Rocks that we have painted and placed there, but also rocks from his friends, his family, and his school community. This tree a perfect gift from a family in our community and that we affectionately refer to as our WillBilly tree. The painted rocks have skirted this little tree with bright paint and beautiful words and from our large kitchen window I am reminded of how much he is loved and remembered. On the other end of his little garden, under an evergreen are hundreds of heart-shaped rocks that I have collected from each of my walks to the river and from others who know the significance of rocks to us. My heart smiles each time I notice that another “new” one has been lovingly placed among all the others. 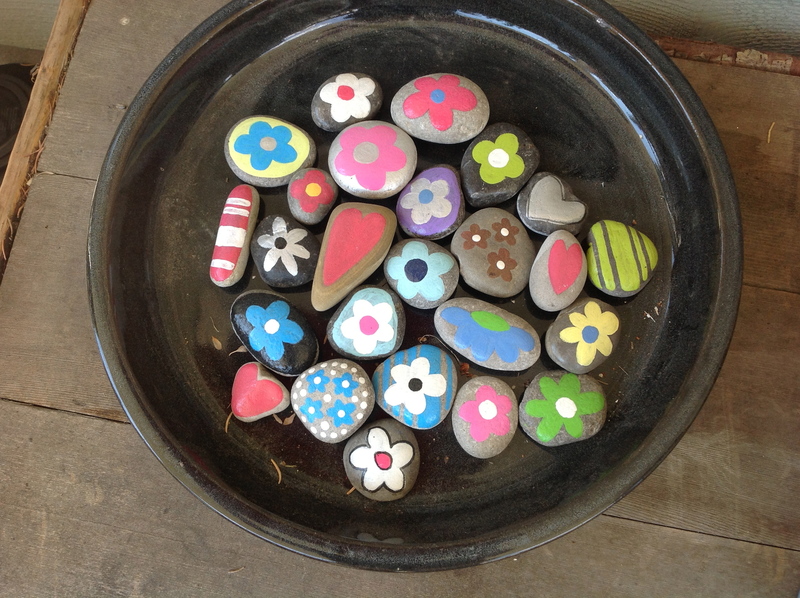 I have painted rocks for friends who want them in their gardens and to place at their front doors. I have painted them as gifts and as thank you”s to those who mean the world to me. It’s simple. Rocks rock. And, sticks rule. I didn’t know it before, but I know it now.